September 29, 1948 Bryant Charles Gumbel, television journalist and sportscaster, was born in New Orleans, Louisiana. Gumbel graduated from Bates College in 1970 and began his television career in 1972 as a sportscaster for KNBC-TV in Los Angeles. 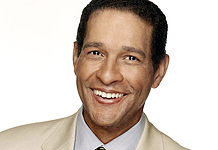 Gumbel was hired by NBC Sports in 1975 as the co-host of its National Football League pre-game show, “GrandStand”. Between 1975 and 1982, Gumbel hosted numerous sporting events for NBC. In 1982, Gumbel became principal anchor of the “Today” show on NBC. He served in that capacity for 15 years, earning four Emmy Awards. 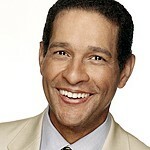 From 1999 to 2002, Gumbel was the co-host of CBS’s “The Early Show”. Since 1995, Gumbel has hosted the HBO investigative series “Real Sports with Bryant Gumbel”.